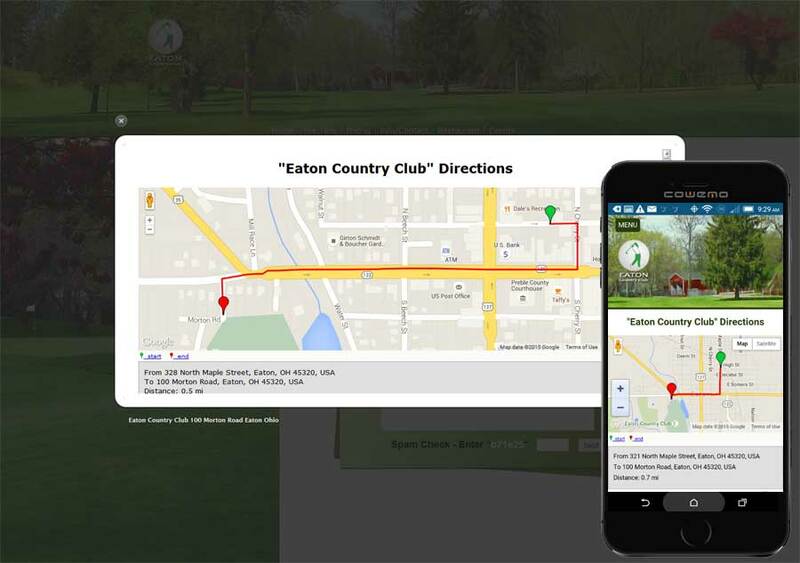 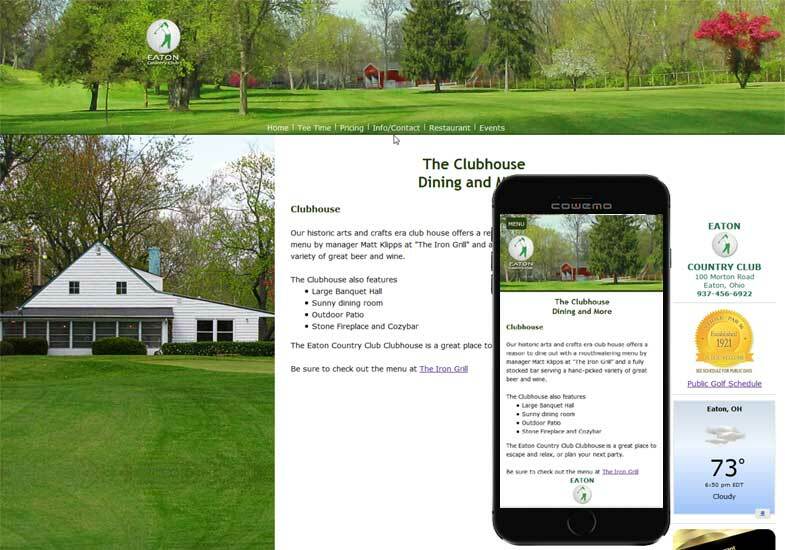 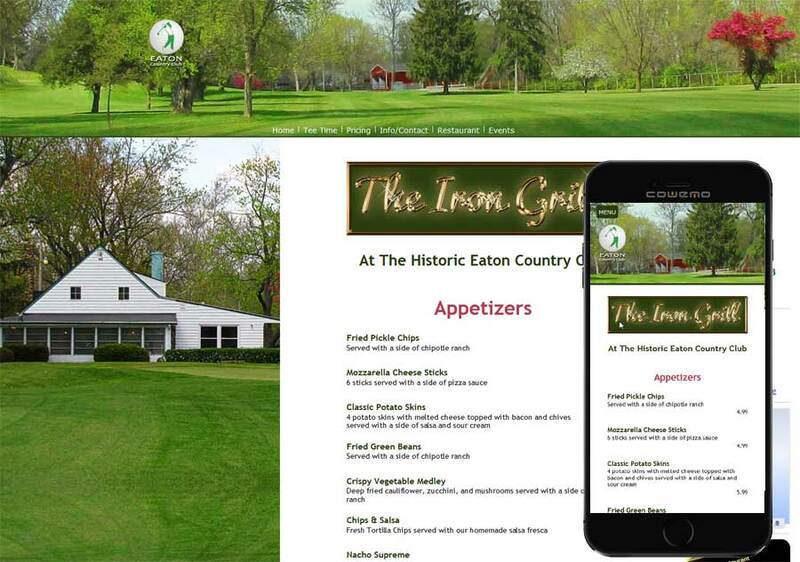 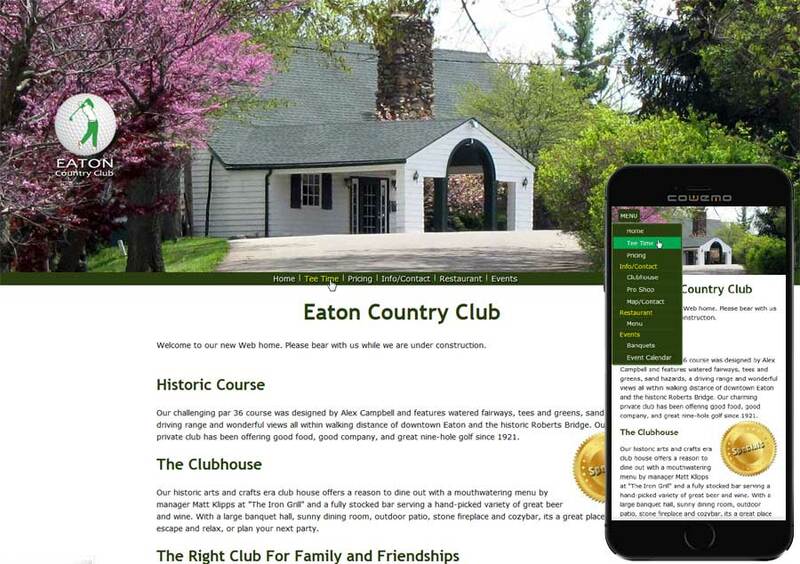 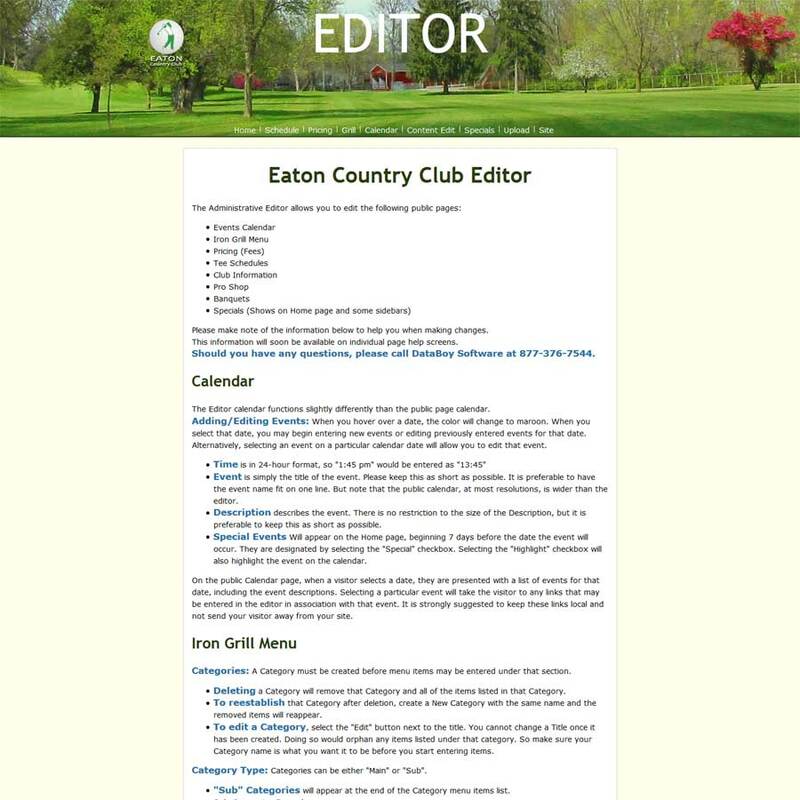 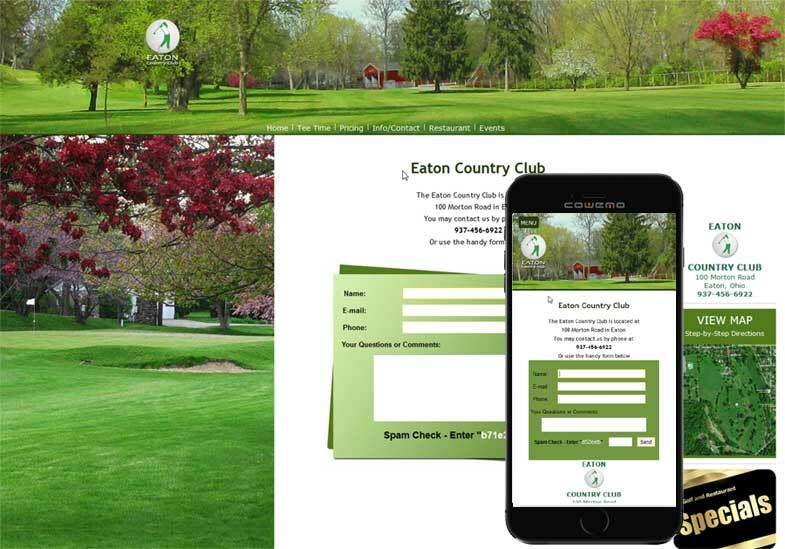 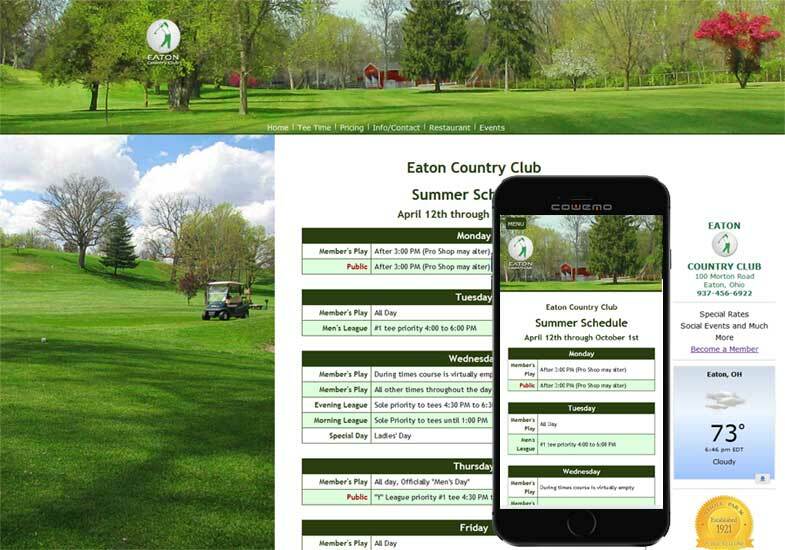 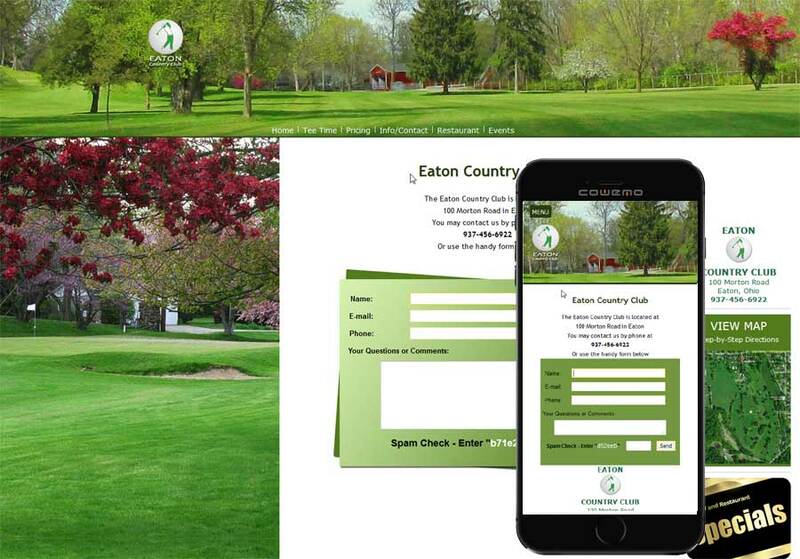 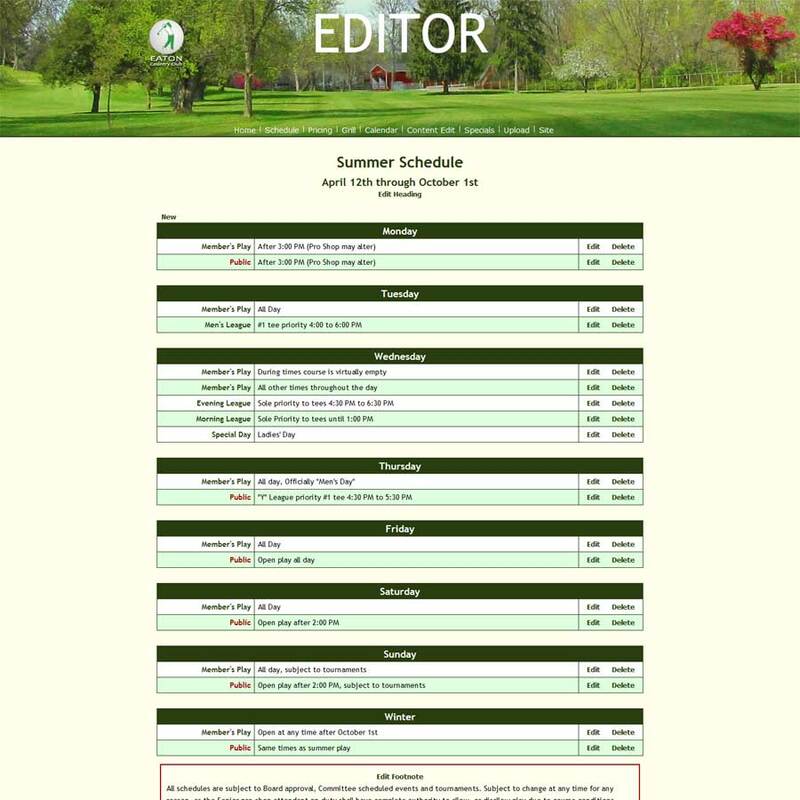 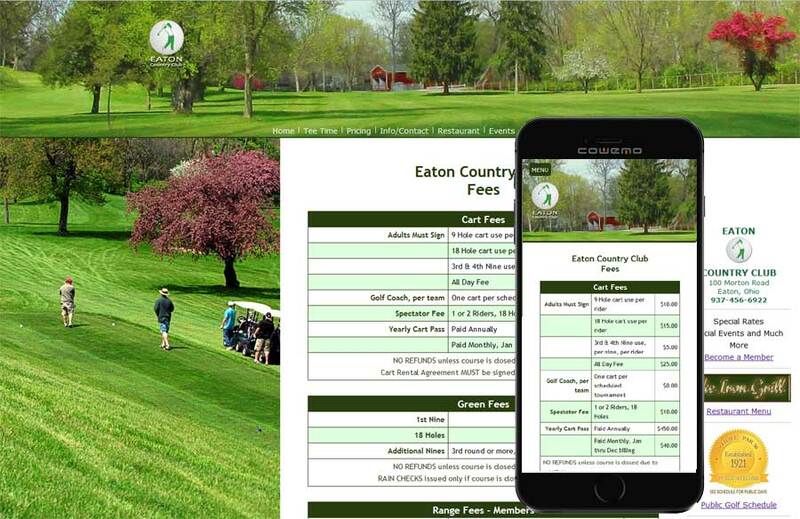 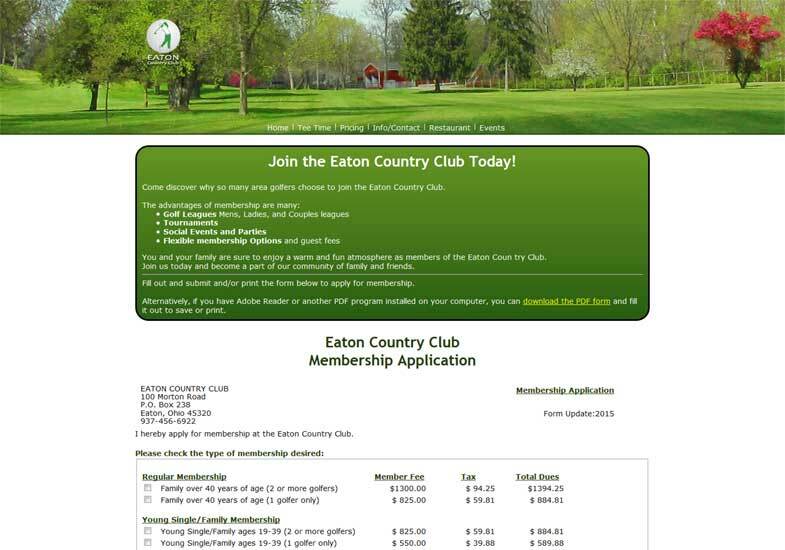 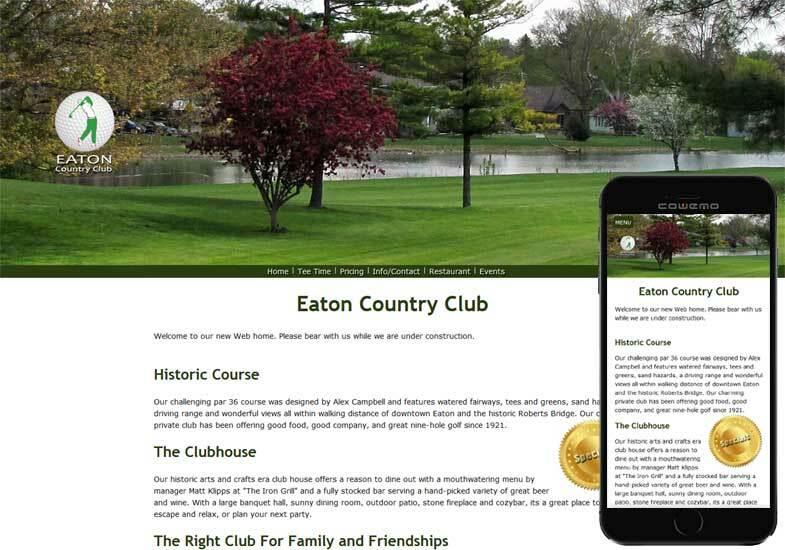 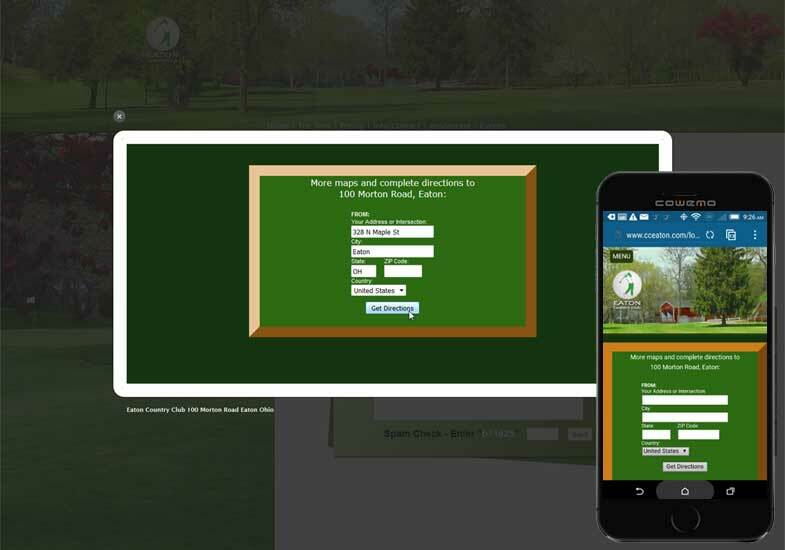 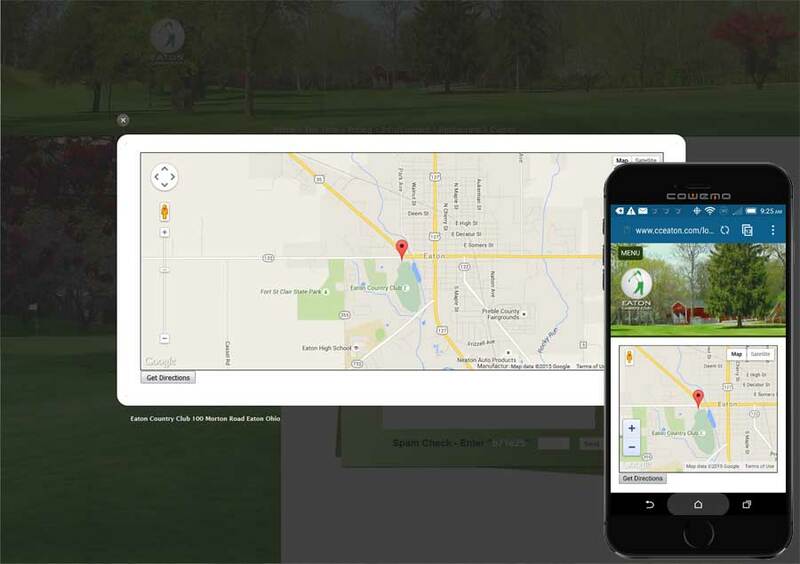 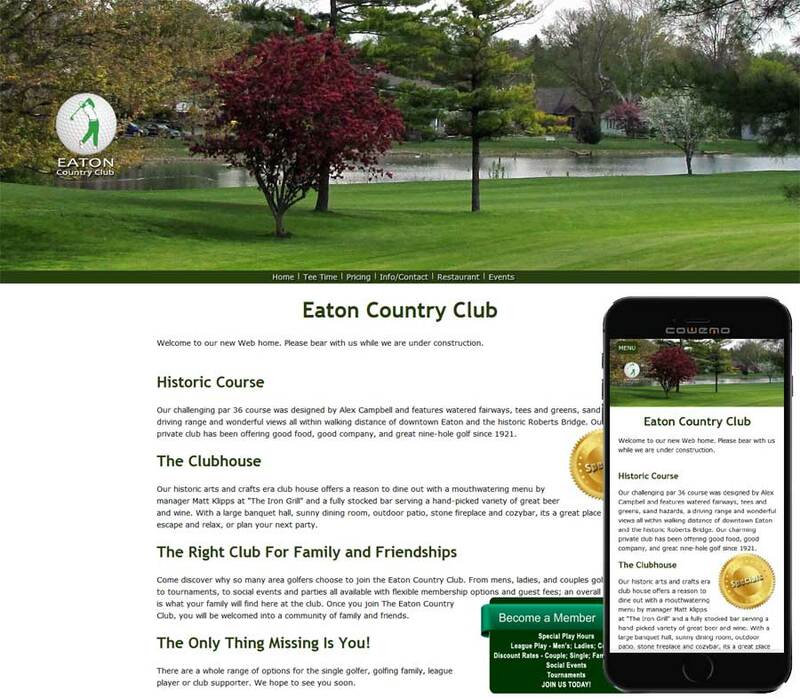 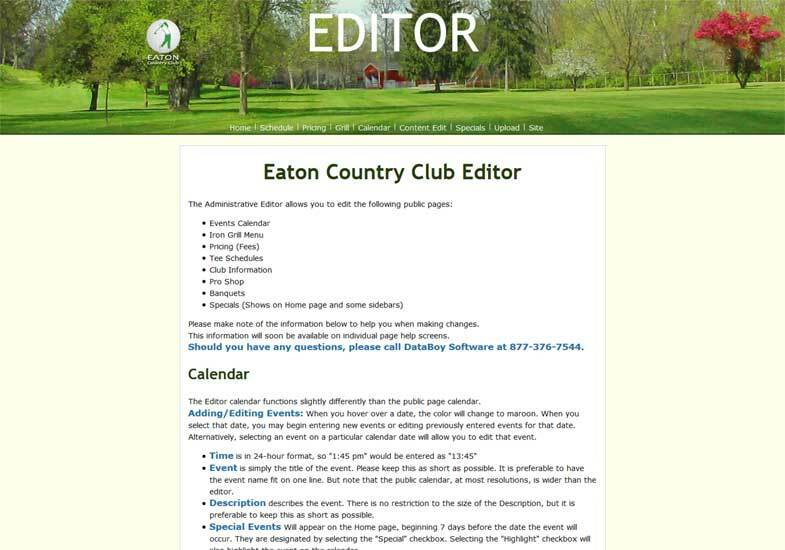 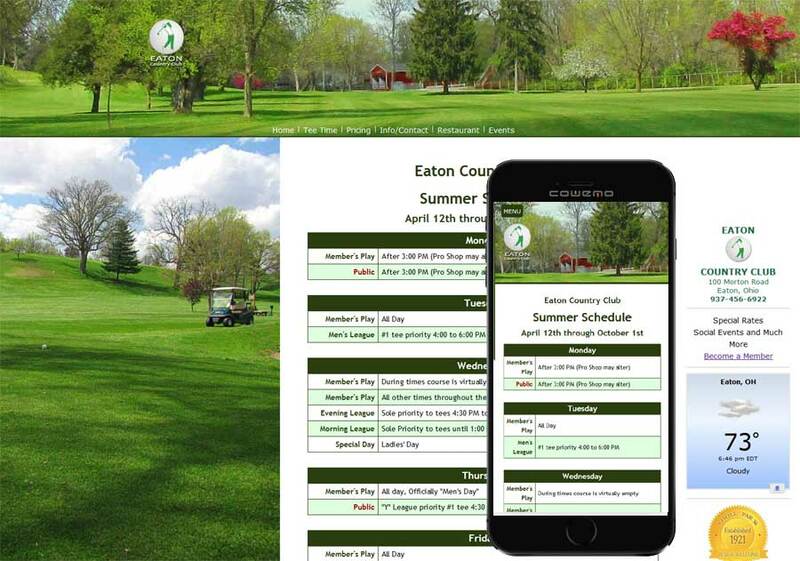 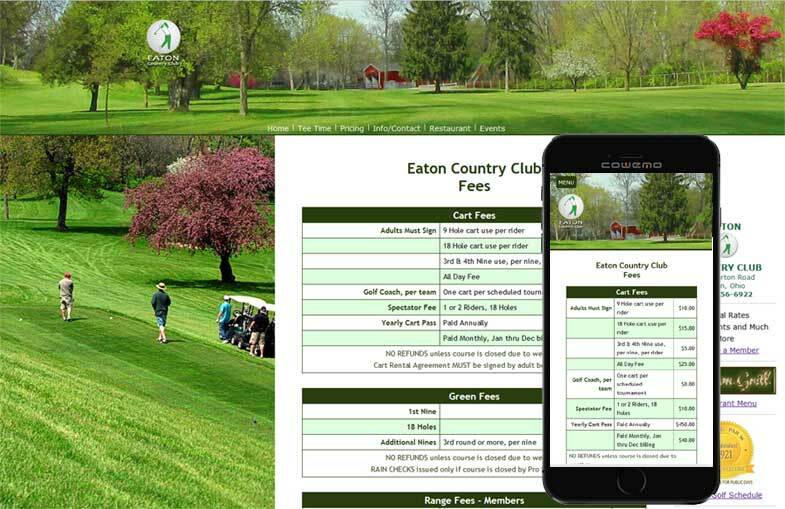 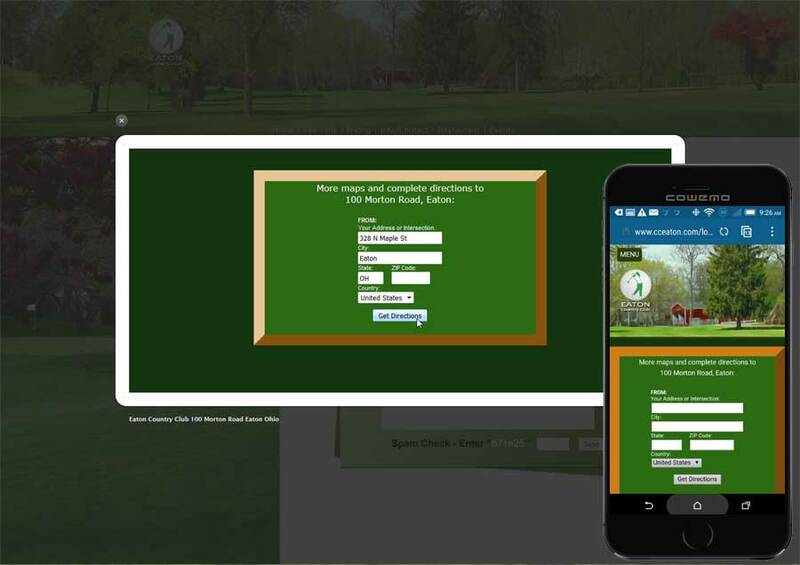 Taking advantage of the newer HTML5 technology, the Eaton Country Club site spreads across the page in a very responsive layout, adjusting to any screen size, from very large monitors to small cell phones. 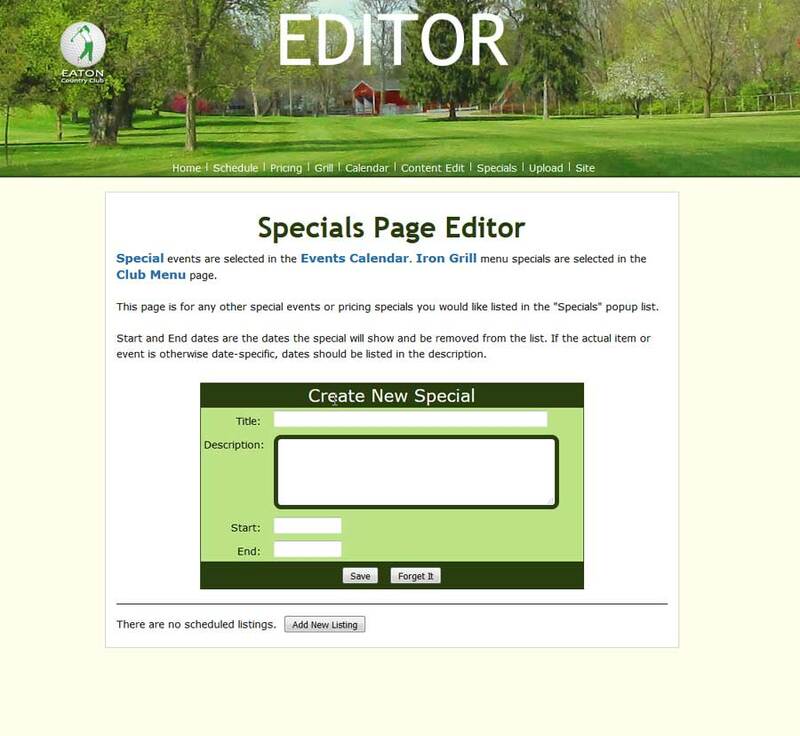 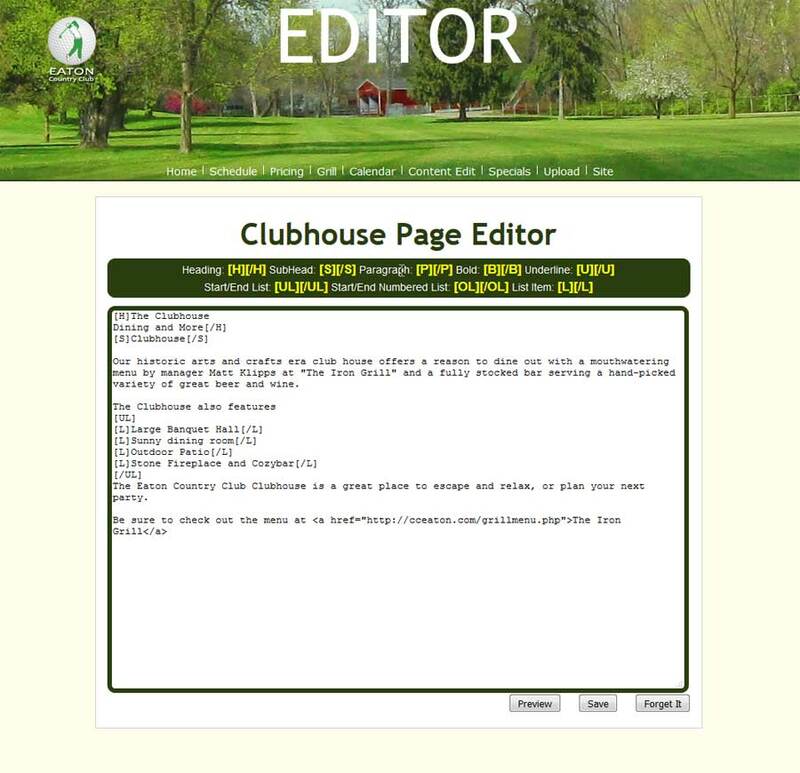 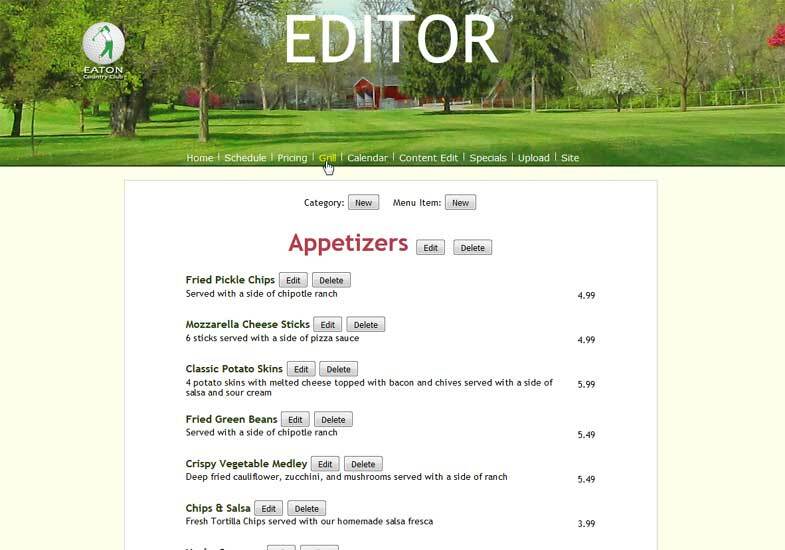 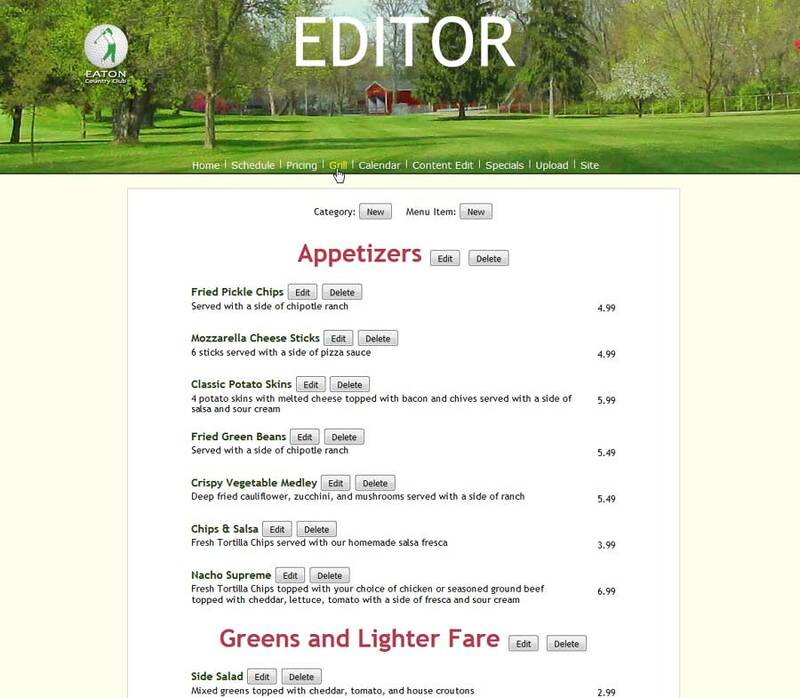 Most pages on this site are editable by Country Club Staff. 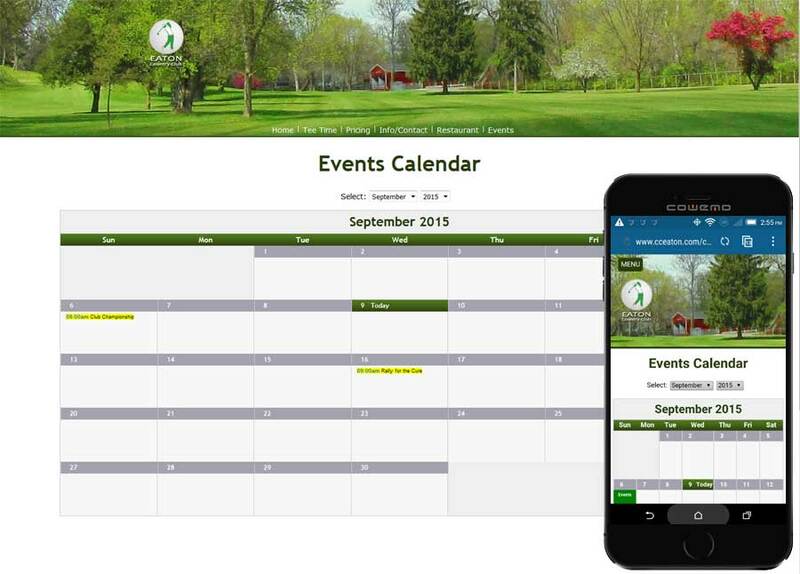 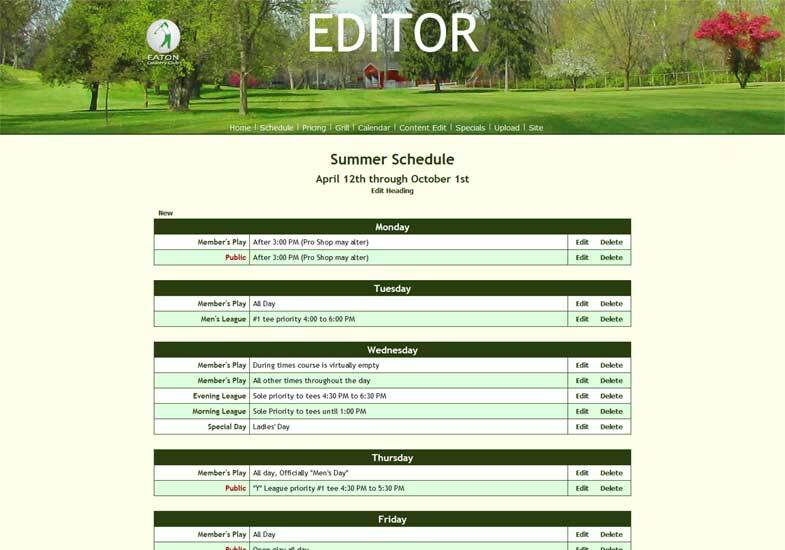 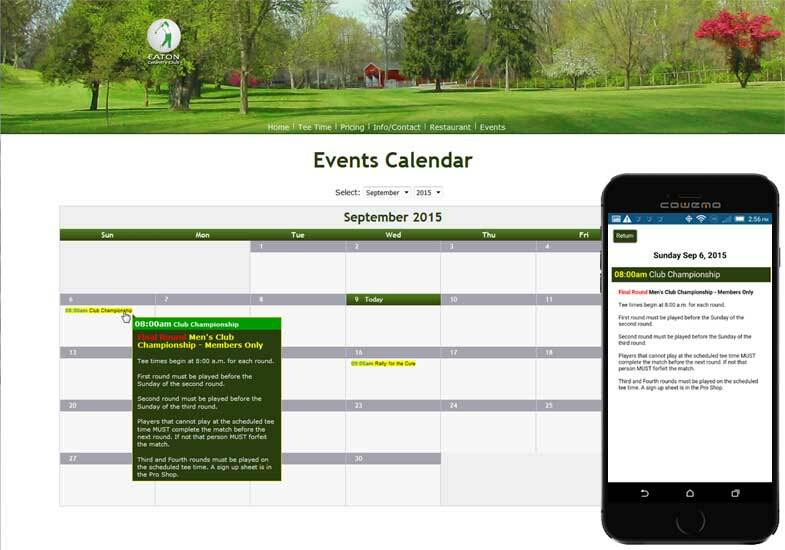 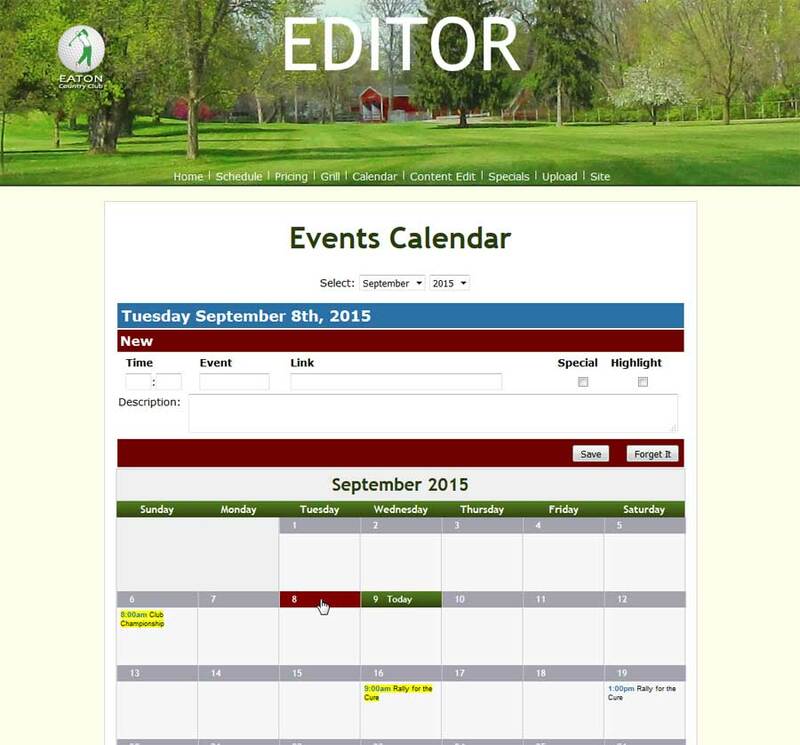 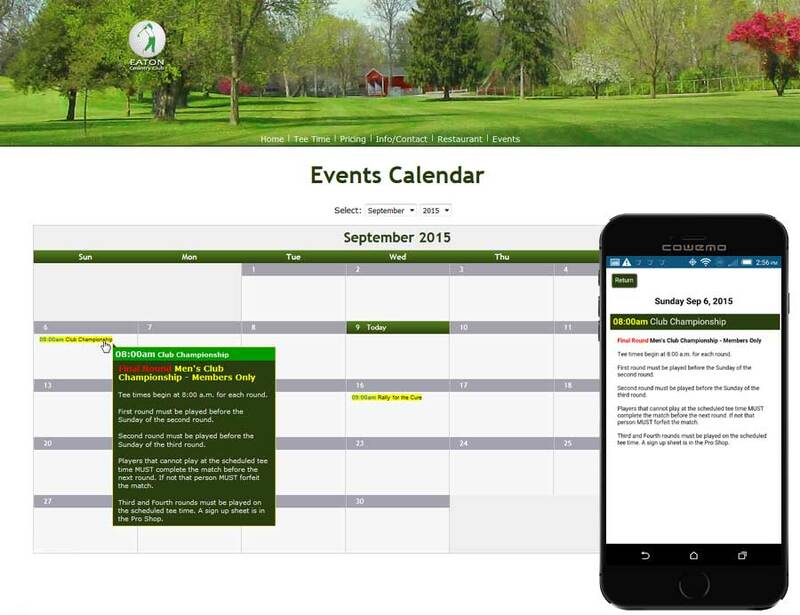 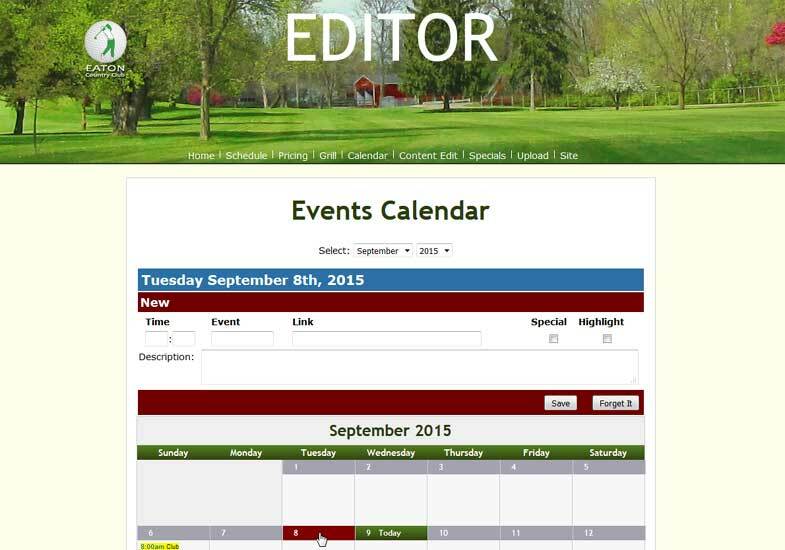 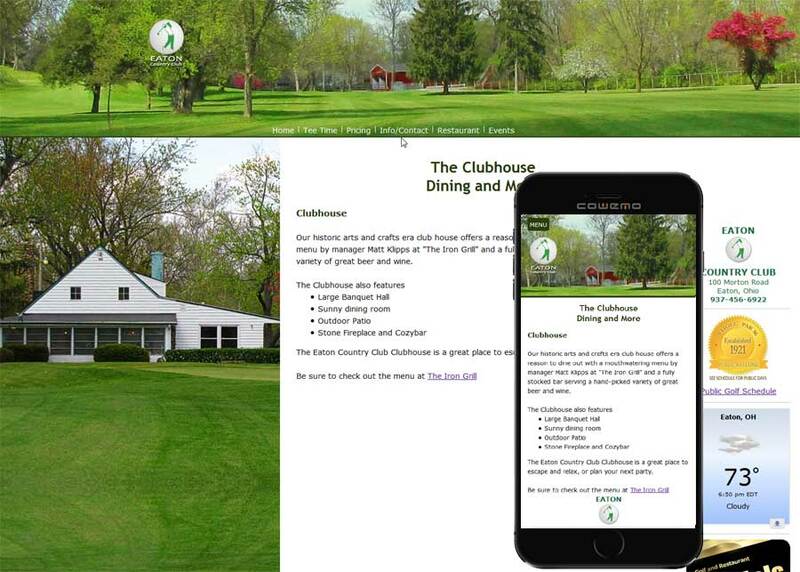 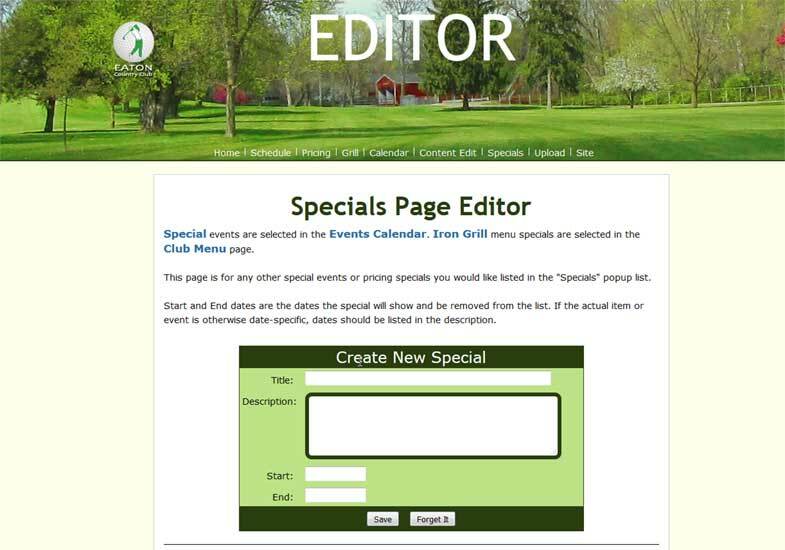 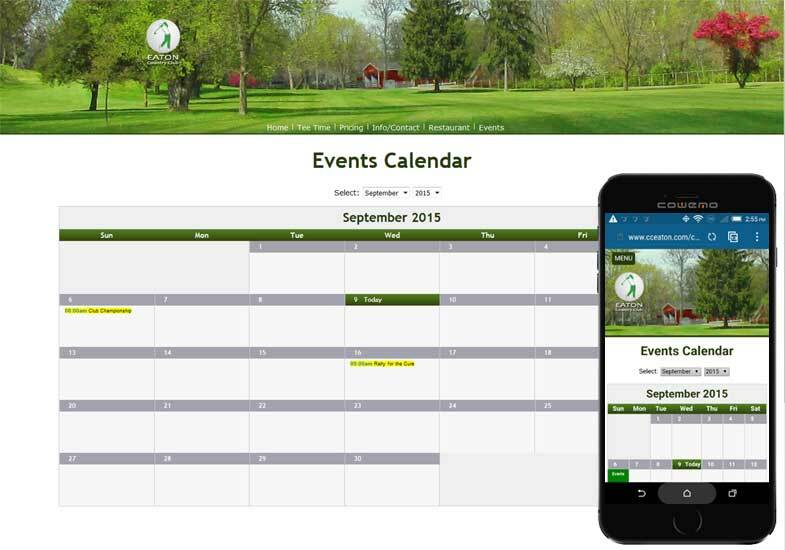 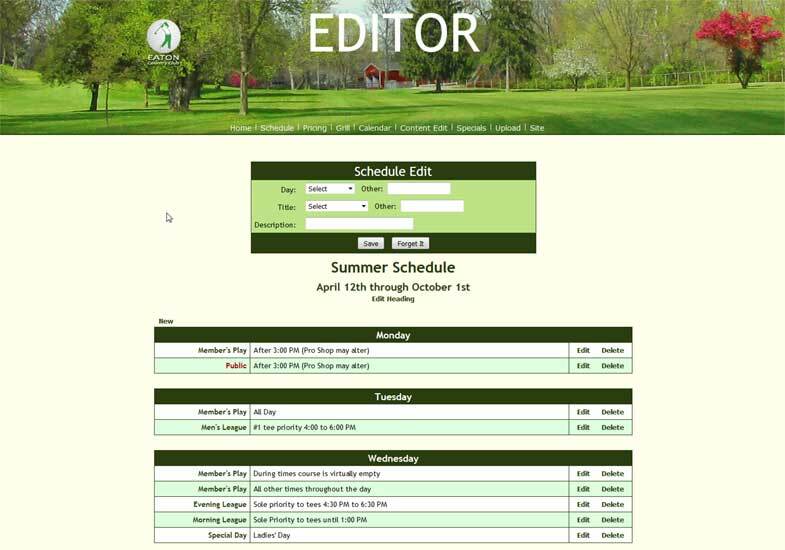 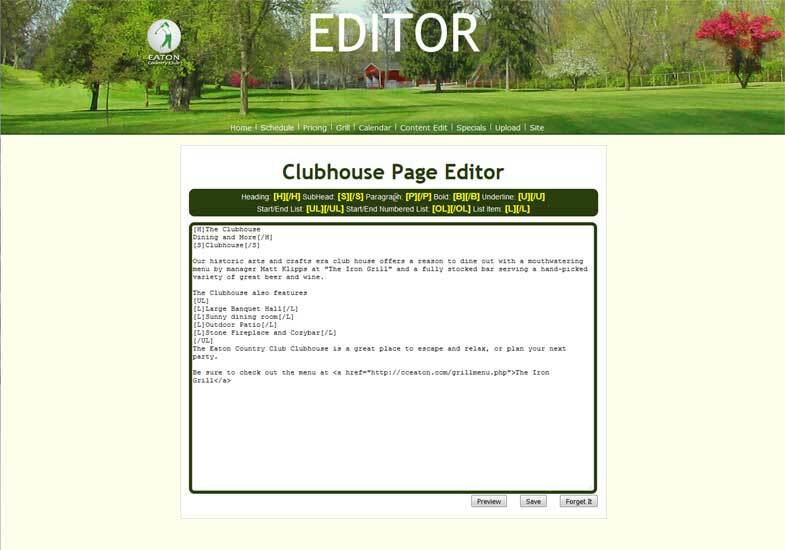 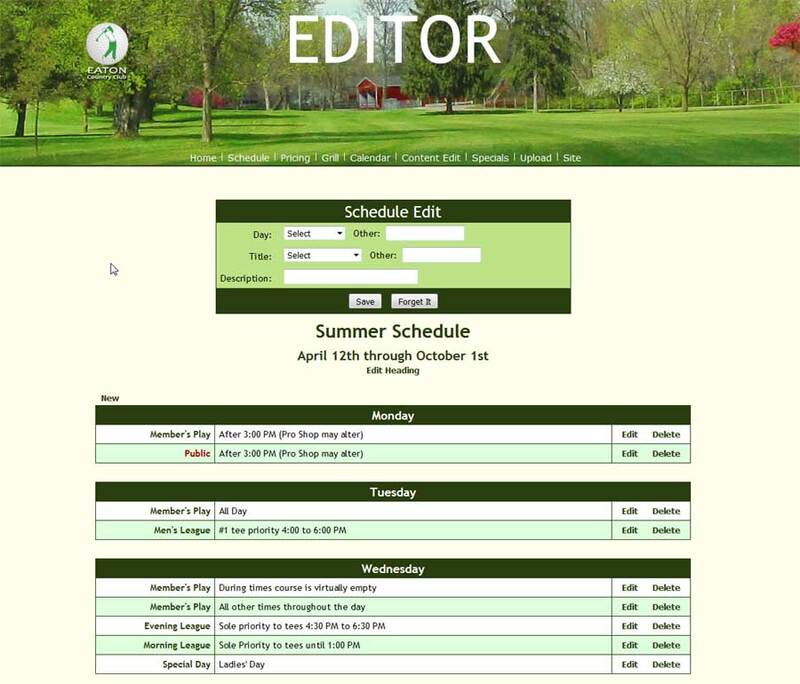 This not only allows the club to keep their event calendar, banquet schedule and restaurant menu up to date, but also allows them to add and remove page content. 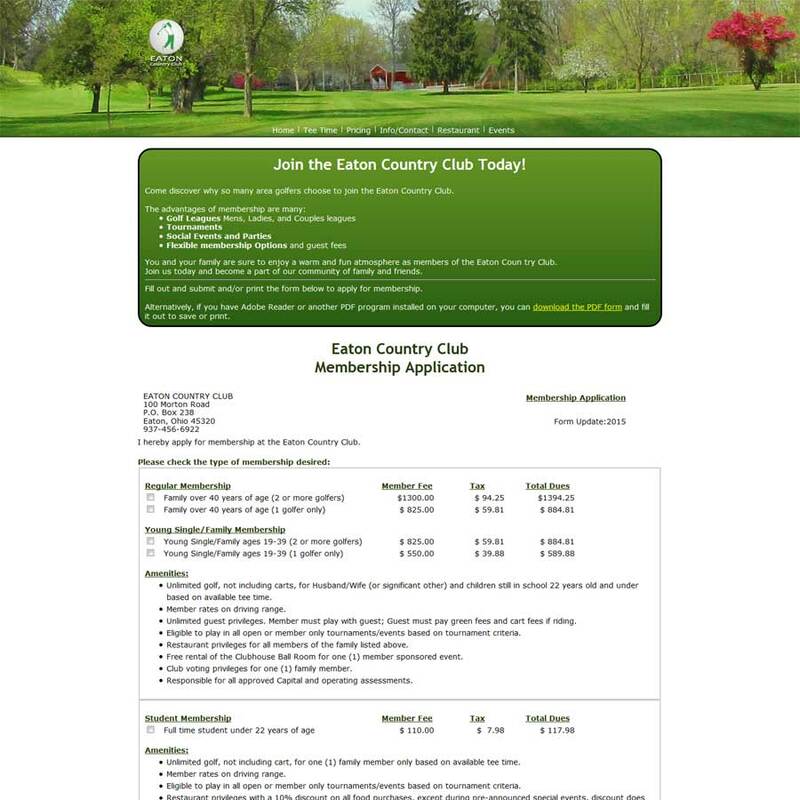 Also included is an online membership application form.